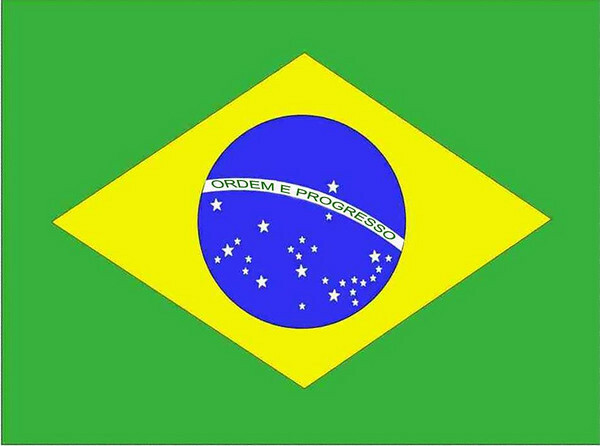 If it’s not made in Brazil, it’s not Brazilian. There are a lot of hammocks out there, from the tipsy old thing your grandmother used to have to the one the local hardware store has haphazardly set up in its lawn and garden section. 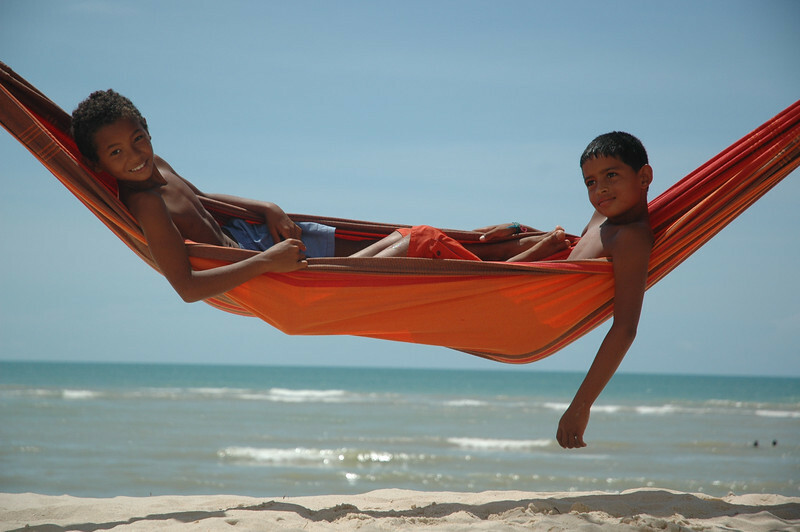 And (spoiler alert) they’re not all from Brazil, the true home of hammock culture. You don’t go to Missouri for a lobster dinner, do you? Of course not. You go to New England, where seafood and clambakes are done the right way. Then why would you go someplace other than Brazil for a true Brazilian hammock experience? Even a child can use one. Hammocks should never be confused with a trampoline or a bounce house, but that doesn’t mean they’re not kid-friendly. In fact, from backyards to bedrooms, hammocks and hanging chairs have begun popping up wherever your little people finally stop for a little rest and recharging. Well, I don’t need a reason. I can’t resist. They’re good for the planet. 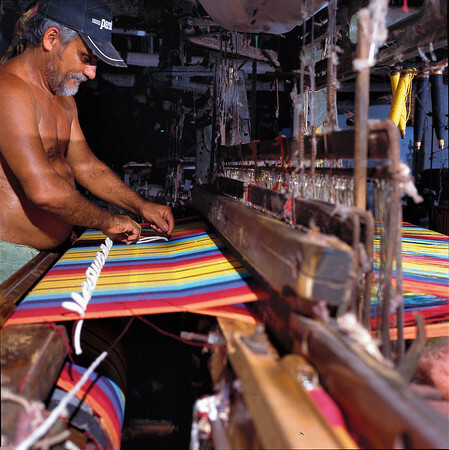 Our signature Barbados hammock is made from 100% recycled fiber. Don’t be fooled by the bright colors, the stylish fashion or the impeccable quality. 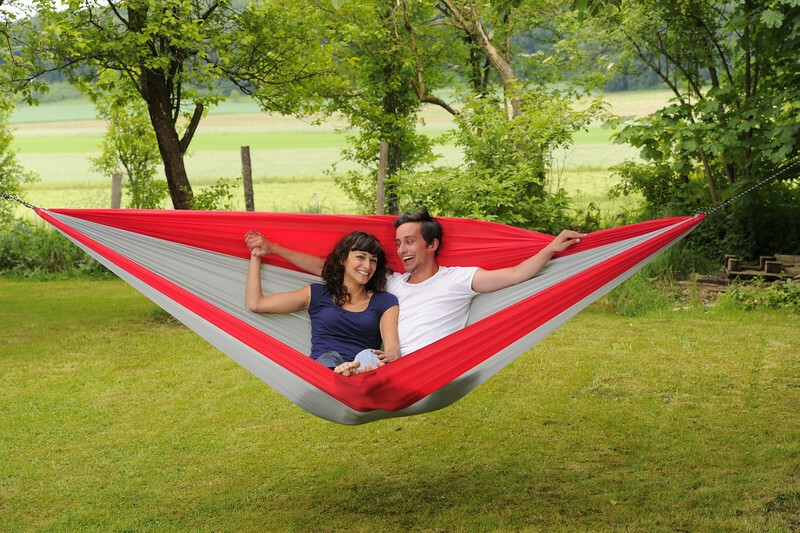 There’s nothing second-rate about these hammocks. Look, “green” is in — and our hammocks were green before green was trendy. Handmade, chemical-free and recycled cotton. It’s a win-win for you…and for the planet. But once you give a Brazilian hammock a whirl, that world you shifted upside down as a child is suddenly righted. They’re strong, durable and — above all else — sturdy. Getting in is simple; falling asleep in one simpler still. You can replace your bed with one. Obviously, a great part of the culture in Brazil is using hammocks as beds — in some cases, even hanging the hammock over a bed and sleeping in it right there. On some occasions, proud Byer hammock owners have written in to share stories of how much better their back feels after a night sleeping in a hammock versus a traditional bed. Because the hammocks are designed to provide a flat surface for your body, they are comfortable for longer periods of time — several hours, in fact. 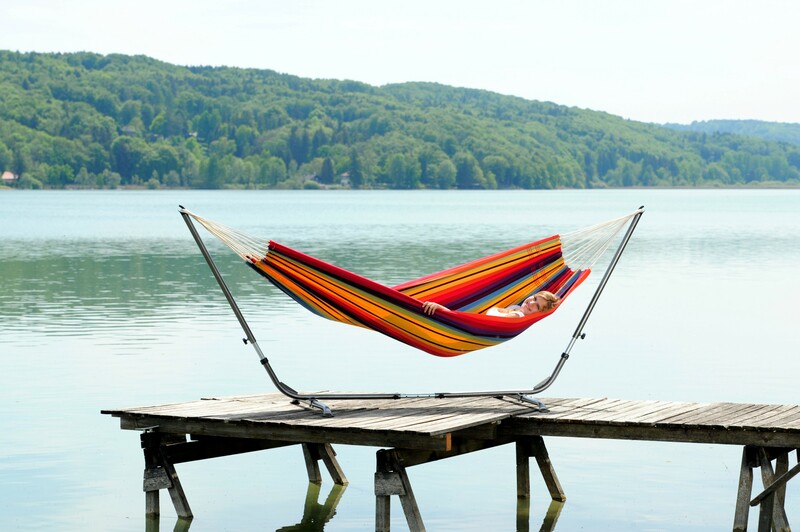 Some studies actually suggest that a hammock is better for you than a bed and provides a more restful sleep. Inside or out. Hammocks aren’t just for the outdoors, though that’s where the majority of them see their use. Because of their comfort (see above) and how little space they occupy when they’re not being used (see below), more and more people are using them inside. Sun rooms, bedrooms, living rooms — all are solid options for a hammock or hanging chair. Goes with you anywhere. While ultra-light hammocks steal most of the headlines with the hammock-camping crowd, Brazilian hammocks are amazingly mobile. Even our largest hammocks — like the super-roomy Paradiso Double — weigh less than six pounds and fold into a packable, matching cotton sack that’s half the size of your standard pillow. Set them up in the backyard in the summer, take them with you on vacation, move it to your sun room in the winter, even bring it to the neighbor’s house for an afternoon cookout. Cheaper than a futon. You’re on a budget. Who isn’t these days? You’ve got to fill a loft apartment with something that triples as a chair, a couch and a bed for those afternoons where you’re equal parts lazy, productive and in need of a power nap. For less than the price of a futon — long the staple of the 20-something crowd — you can hang a handmade Brazilian hammock and be the stylish envy of all your friends. More comfortable than a pair of old jeans. Cotton is what makes denim great: Soft, form-fitting, comfortable. Nothing says classic Sunday-afternoon comfort like the cotton in your favorite pair of worn-in jeans. Our hammocks are the same — the Barbados is 85% cotton — expertly handcrafted from cotton to create a feel that’s just as familiar. This entry was posted in Uncategorized and tagged Amazonas, Barbados, Brazil, Brazilian, Byer, Byer of Maine, Hammock, Hammock stand, Hanging chairs by beckybyer. Bookmark the permalink.